Find South Dakota workers compensation forms and coverage guides. At Workers Compensation Shop.com we attempt to offer free access to South Dakota's workers' compensation forms, applications and guides. We strive to keep our library up to date with the latest versions of every form you may need. As with all information we provide, please verify the accuracy of this information with the South Dakota Division of Labor. If you have questions about a workers comp form, feel free to contact a specialist at 888-611-7467. We want to be your source for workers compensation information, rates and quotes in South Dakota. The standard Acord 130 application form for workers comp coverage in South Dakota. First Report of Injury Form. Employers should complete this form and send to their insurance company each time an injury occurs. Complete this form if you wish to become self insured for workers' compensation. Complete this additional form presenting your managed care plan if you wish to become self insured. Information about workers compensation in South Dakota for workers and employers. Workers compensation insurance is required by law for South Dakota employers. 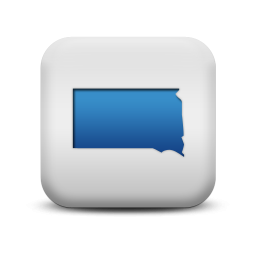 South Dakota forms and applications such as owners inclusion or exclusion forms are sometimes updated by the state. Contact us if you need help or can't find the workers compensation form your need for South Dakota. WHY SHOP SD WORKERS COMP WITH US? More carriers = Better rates. At Workers Compensation Shop.com we partner with more than 35 nationwide providers. This allows us to negotiate with many carriers instead of a select few, like most agencies. We can to get you more complete coverage at rock bottom rates. Give one of our South Dakota workers compensation specialists a call today at 888-611-7467 for a free, no-obligation quote on workers compensation insurance.